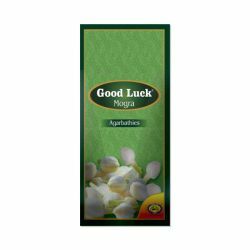 Good Luck Mogra Agarbathies emits a heady aroma that fills your heart with euphoria and uplifts the ..
Good Luck Rose Agarbathies has a rich, sweet scent that amalgamates the physical and psychic love, beauty and merriment, leading one closer to a garden full of roses in full bloom. 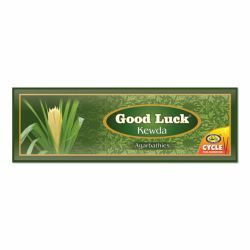 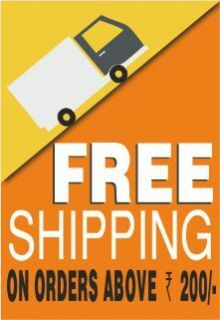 It has an enchanting fragrance of rose petals spreading beneath the dew for a magnetic, sweet smell that fills your home. 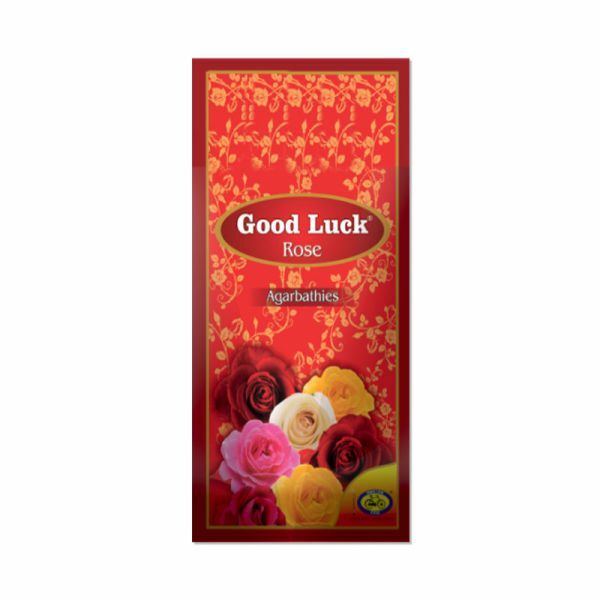 Bring home this traditional yet contemporary fragrance and start your day with this Good Luck Classic.Rose – one of the most alluring flower, has been cherished for centuries in many cultures. Sultry or maiden, earthly or divine, Rose has an inexplicable aura that symbolizes femininity, beauty and love.